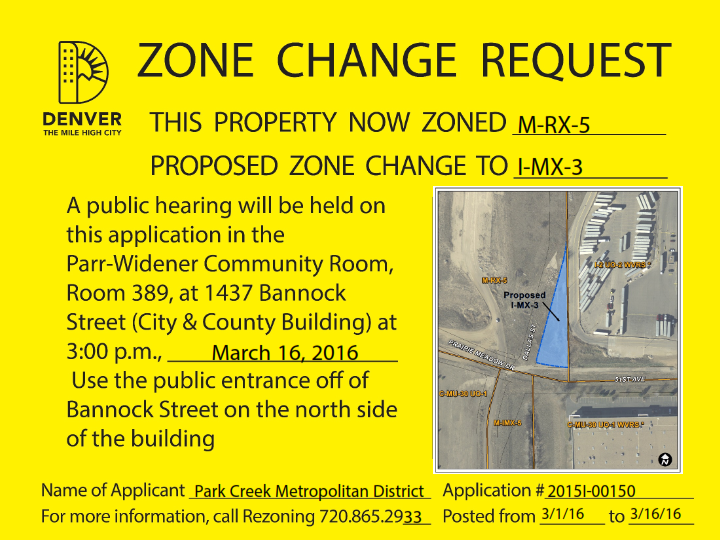 STARBOARD Realty Group specializes in rezoning property within the City and County of Denver. STARBOARD has successfully rezoned over 3,200 acres of Denver property for numerous clients in order to enable a development project to move forward or to affect a disposition strategy. Understanding Development Fundamentals: STARBOARD professionals have over 35 years of experience in development and land use. This experience helps us understand our client’s objectives and development programs, allowing STARBOARD to advise in how to maximize and protect real estate value and site utility to rezone property allowing for the highest and best use for each development opportunity. Neighborhood Sensitivity & Engagement: Years of working with neighbors, community groups and neighborhood organizations have provided STARBOARD professionals with experience and expertise on public outreach and community engagement that is transparent, respectful and civil. An important and necessary component of each STARBOARD managed rezoning in Denver is the building of trust with neighbors and community groups. Urban Design Practicality: STARBOARD professionals know the impacts that regulatory requirements such as parking requirements, setbacks, open space dedication requirements, building form and height limitations and stormwater detention have on design, development programs and development pro-formas. This understanding helps with Zone District selection for rezonings, as well as facilitates better dialog and process with neighbors, architects, planning staff and elected officials. 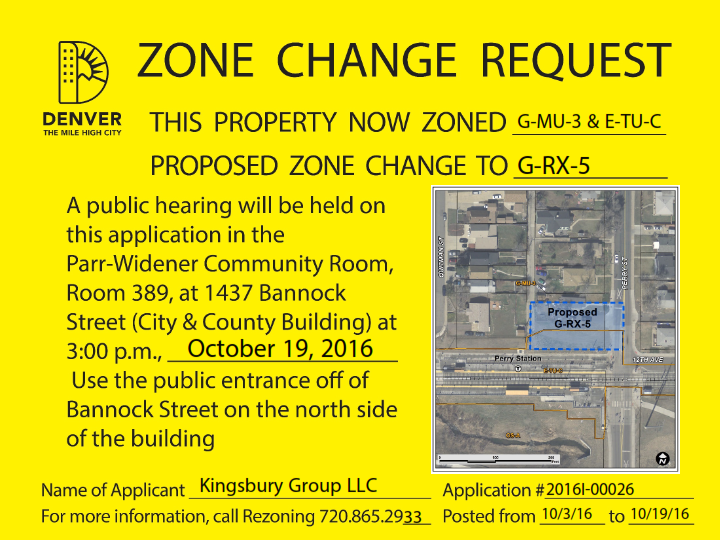 Zoning Code Familiarity: Years of experience working with the Denver Zoning Code leads to efficiency and good decision making when STARBOARD professionals are processing a rezoning application and working with neighbors, planning staff, and elected officials. This familiarity with the code also helps with advising clients on decisions relating to their projects. Process Knowledge: STARBOARD professionals enjoy excellent working relationships with City of Denver staff which enhances project responsiveness and helps keep rezoning efforts on schedule. In addition, STARBOARD has a demonstrable and proven knowledge of Denver’s rezoning process and requirements, efficiently moving rezoning projects through Denver’s system. 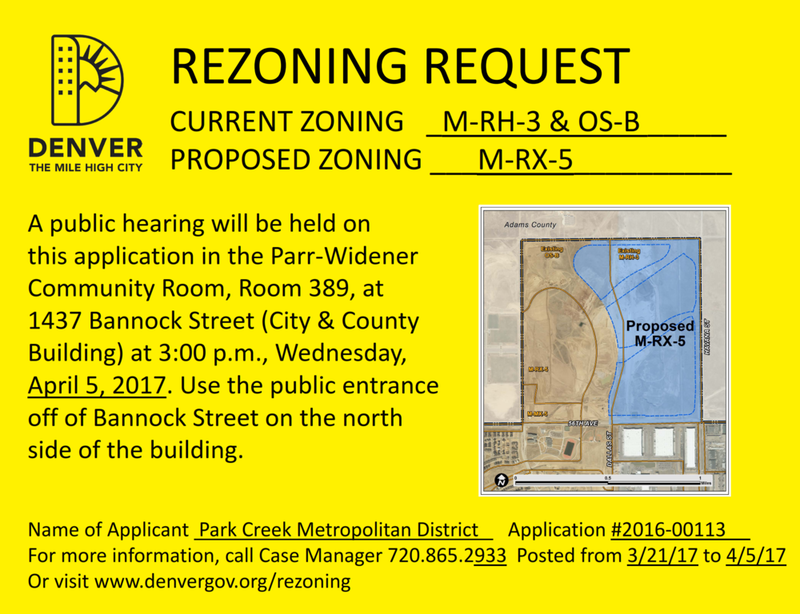 Political Understanding: Rezoning in Denver requires involvement with and an understating of Denver’s policy goals, political processes and sensitivities, and the relationships between City agencies, neighborhoods, and elected officials. STARBOARD professionals work closely on land use, entitlement and zoning issues with City Administration, members of Denver City Council and the Denver Planning Board on a regular basis, and are adept at navigating Denver’s intricate political landscape on behalf of clients.